Destination NSW, the lead government tourism body for New South Wales, has this announced that the 2015/16 cruise season is set to break all previous records for the industry — with more cruise ships calling at ports along the NSW coast than during any previous cruise season. 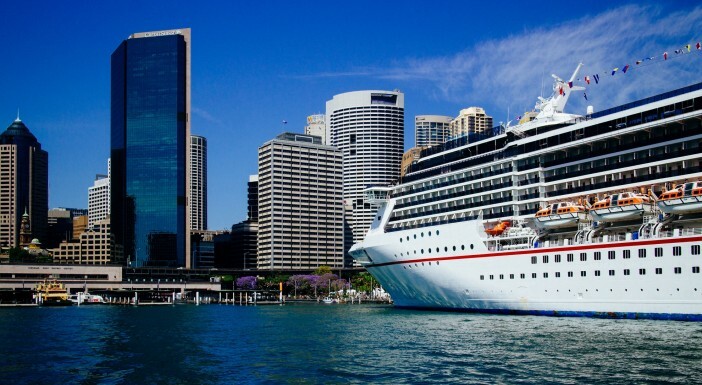 While Sydney’s expansive cruise infrastructure has led it to become the biggest and most popular cruise port terminal in Australia, other ports in New South Wales — including Eden and Newcastle — are also receiving their fair share of cruise tourism growth, with a 200 per cent rise in the number of cruise vessels visiting the two ports each year. Earlier this year, Sydney received an upgrade to its Overseas Passenger Terminal, whilst Eden is currently in the middle of a major wharf extension project — something that highlights the positive impact cruise tourism is having in the region. In an effort to bolster New South Wale’s image as a global cruise destination, Destination NSW has this week published a series of Welcome to Sydney videos aimed at promoting the region to international cruise passengers — these videos are available online, and will also be played aboard a selection of ship’s visiting the area. During the 2015/16 cruise season, dozens of ships from across all the major cruise lines will visit New South Wales — with many berthing in Sydney’s impressive dockyards. Next year promises to break passenger and vessel numbers once again, as Sydney plays host to Royal Caribbean new Quantum-class ship, Ovation of the Seas, and Norwegian Cruise Line’s new ship, Norwegian Star, homeports in the region ahead of the 2016/17 season. To keep up to date with news and developments from Australia’s cruise market, stay tuned to the Cruise1st news feed for the latest updates as they develop.